Nas recounted how Kelis ruined his business relationships, alienated family members, and cost him untold sums of money just to honor his marriage vows. While he admits he was less than faithful during the marriage, he tells of instances where he was physically attacked while trying to visit his son after the marriage was over. He also charges his ex-wife with trying to extort more money out of him for child support by using the bullying power of the Courts. It seems that in this witch hunt for woman abusers known as the Me Too Movement, black men once again find themselves being chased by angry mobs bearing the pitchforks of white collar retribution and the torches of mainstream media slander. In a house dominoes that started with the conviction of Bill Cosby, and now, the prosecution of Harvey Weinstein, it was only a matter of time before the wrath of the lynch mob would be turned upon the most vulnerable sector of men in American society. But we must ask the question: Why didn’t we ask questions? Why were we so eager to assume that these accusations about Nas were so indelibly true? We didn’t we give Esco (Nas) a fear hearing in the kangaroo court of public opinion? Why didn’t we give Kelis’ story a cursory investigation to ascertain the possibility that she could be exaggerating at best, or all out lying at worst? Why didn’t we give Nas just one mic? ANSWER: NO ONE GIVES A DAMN ABOUT BLACK MALE PAIN & SUFFERING!!!! America has not only been indifferent to black male suffering, it has shamelessly profited from it. In fact, black male suffering is etched into the very DNA of the republic. It’s political, social, and economic institutions are fed by it. Historically, when white men, exploited by robber barons and greedy plutocrats, could find no relief from the paralyzing pain of their own impoverishment, they sought their catharsis in the inhumane past time of lynching. In his classic treatise A Festival of Violence, E. Stuart Tolney studied the correlation between cotton prices in 9 states over a 30 year period and the patterns of lynching in those states. He found that mob violence occurred when prices were low, with an average of one lynching every other day. It was also discovered that the mob’s agitators were the city’s political leaders and most affluent merchants. In one of his most prolific skits from his 1977 comedy variety show (that i’m sure NBC has buried), the profoundly brilliant god of comedy, Richard Pryor used his satirical genius to poke fun at the American psyche. Richard Pryor played the leader of a heavy metal band named Black Death performing before an integrated audience chanting the following mantra: “We Want Black Death! We Want Black Death!” Though he appropriated heavy metal symbolism to conceal his critique, the message was clear. America covets Black Death. Pryor being the man he was, was equally clear in his response to their chants. But alas, there is an even darker truth that Pryor carefully illustrated in the skit. The audience also consists of black people. This was a masterful stroke of genius if ever there was one. Pryor also indicts us! Yes! Us! Perhaps without realizing it, or attempting to create a fearful persona to protect our humanity, we have not only exhibited, but we have internalized all of the dominant society’s false perceptions about black manhood. We have entered into a faustian bargain where we have traded respect and recognition as human beings for a fearful presence to create a small space between us and those who misrepresent and exploit us. Instead of confronting the real problems that collude to rob us of our dignity, we have compromised and exiled ourselves inside of illusions and myths. 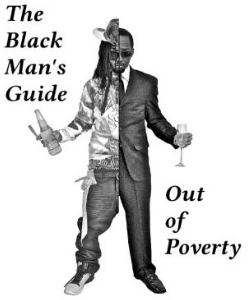 As such we have embraced the O-Dog(s), D-Nice(s), Kainan(s) as the face of black manhood. Thus, with all good intentions, we have accidently set ourselves up to be murdered. The moral of the story is that America does not care about black male suffering. As a result, no one in America cares about black male suffering. Thus, sadly, we don’t even care about black male suffering. So it’s not necessary to listen to Nas’ side of the story because Nas is an animal. And though PETA cares about the unethical treatment of animals, no one cares about the inhumane treatment of Black Men. Even when that treatments is rendered by black women. This is the way it has always been in America. And this is the way it will always be in America unless we empower ourselves. DROPS MIC!!!!! TONY MACEO is a senior blogger at the Negromanosphere and the Chief Blogger at Power & Strategy.com. Like and Share the articles. Subscribe to the website, or become a Patron at PowerofStrategies on Patreon. Till Next time, I’ll Holla! WHERE DA WEED MAN AT?